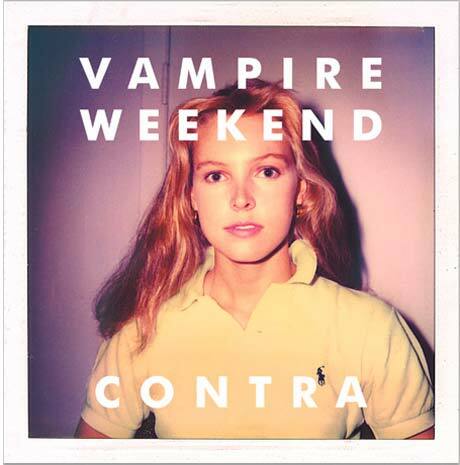 Ann Kirsten Kennis, the woman who filed lawsuits against Vampire Weekend, XL Records and photographer Tod Brody over the unlicensed use of her image on Vampire Weekend's Contra album cover, has settled the case. Photo District News [via NY Mag] reports that the woman, who said she wasn't contacted by Brody about using the image, settled with the band and label for an undisclosed amount. The case has now been dismissed by a L.A. court. Another lawsuit between Vampire Weekend and Brody, however, is still pending. The photographer allegedly licensed the Polaroid, taken in the '80s, for $5,000, but considering Kennis claimed the model release forms were forged by Brody, both the band and XL find him liable for damages. Brody is apparently representing himself, after lawyers left the case over unpaid bills.